TangoChen | Kinect, Leap Motion, AR, VR and stuff.. I tried to make a 2D game with Toy-Con garage and this is what I have come up with. Though it’s not a complete “game” experience. It’s fun to build something seems to be simple but with even “simpler” graphics nodes. Sometimes I have intriguing dreams in sleep. And I would love to have these dreams, considering them as some random creative moments. I want to simply note down some of them in this post. Just because, they feel interesting. Tech & music are my favorites. I’d love to do them together. Hey guys, I just developed this Kinect v2 application a few days ago. It lets you be the Steve and interact with Minecraft stuff. 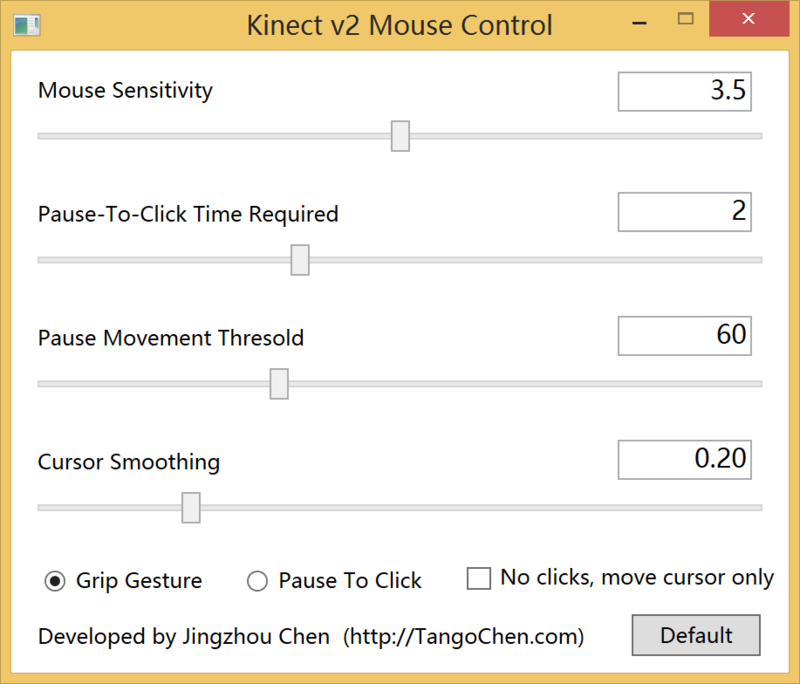 A mouse control application for Kinect v2, including a couple of options for various uses. I’m so glad that I’ve just become a Microsoft Kinect MVP since this July, so I think I need to do something more.